How this kind of forum Works? It occurred to me that some people could be unaware of the way a forum RPG works. So here is an explication for the beginers. 1) Read the Rules. There’s two topics. Each of them has a code word in it which you’ll need for your character application. 2) Reading all the Backstory posts and setting info is also a good idea so you can make sure your character fits with the setting. Think about what AU you want to play a character from, what district they might live in, where they work or what they want to do with themselves in the Citadel. 3) Pick a character to play. All the options and restrictions are listed here. 4) Make an account with the same name/alias as your character, or as close to it as possible. 5) Fill in the application form. You might wanna do this in a separate doc as apparently there’s a character limit on posts so you might not be able to post it all in one go. Don’t forget the two code words from reading the rules! 6) Post your completed app to the introductions subsection as a new topic! Where do we put the Introduction? Should we each make a new topic for our own character? Yes, so when you've finished, I can transfer it to the validated section or give you advice to help you. Take your time to do it. If you need an example, you can read the Introduction of Gaster. And if the file is too hard for beginners, I can change the ligne limits. I have a question regarding usernames, character names and accounts! 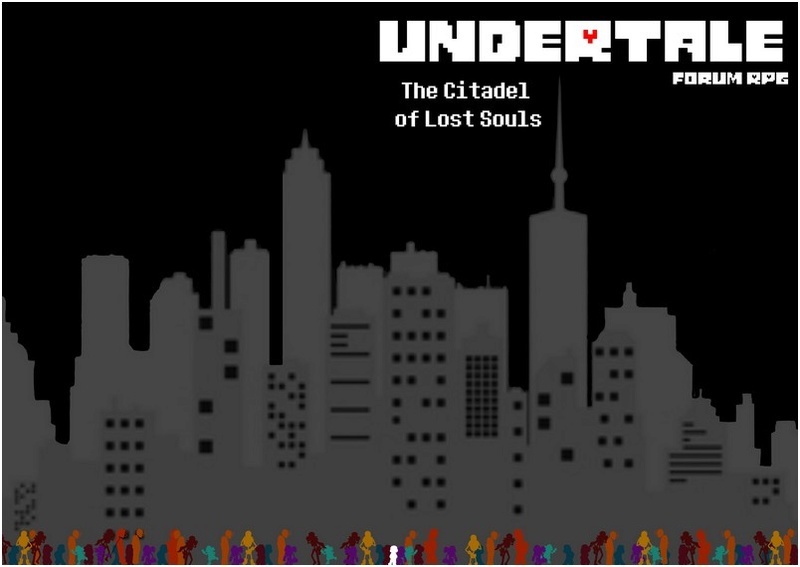 Once I've picked a character to play (let's say an Underfell Papyrus, for example), do I create a separate log-in/account for the forum specifically for this character? Or can we use a single account to play multiple characters as long as we specify (eg. Askellie can play her Underfell Edge or her Undertale Sans as long as these characters have been validated)? Your pen name must be pronounceable, understandable and acceptable in the universe of Undertale. Will be deleted every account with a Pen name of the kind Asgore4Rules or SansTheHuman. Does this mean that the account name has to be exactly the same as the character's in game name? So if I was playing an Underfell Papyrus called Edge, would the username have to also be Edge, or could the username be something like FellPapEdge or TheEdgelord or BossyEdgyPants? Good questions, I have to be more specific in the rules then. I should rewrite it. It's best if the account uses the character surname to avoid confusion. That's why I give examples. But it's an idea, to play different character as long a you introduce them properly. Once, in a forum, I did 12 characters and sometimes, because I was lazy, I didn't switch between account to reply, I just did different paragraphs with the character name in parenthesis and different dialogue colors. So I know it can be possible. I'll post a poll to ask and depending of the results, I'll make the changes. If we keep the actual rules, yes, if a Fell!Pap is called Edge, the account name will be Edge. And if someone else want to be a Fell!Pap named Edge, they'll have to find a different name like the ones you suggest. The idea is to know which version of the character answered or began a new subject. In Game, the character will still be known as Edge. I hope I was clear, I just woke up and it's hard to translate my thoughts. I've written up a character application, and it's ended up much longer than 255 characters (which is currently my limit on post length, apparently). Is there anything I can do to be able to use more characters, or am I just going to have to post the form and then reply with the rest of it in sections? Yes, you have to post the form and reply the rest just after, sorry. Alright, so, I *am* interested in joining here, I'm just curious about just who has been accepted here thus far. (I wouldn't want to be Fellby if there's already some that are basically the same idea). Could there be a way to see what characters are already in the Citadel? You can see in the Validated Introduction what characters have been accepted until now. Or you can check the "Member" button. Ah, so that is representative...thank ya. It's representative of the played characters. If you want to know how many monsters there is in the city, the list of playable characters is more representative. Grillbys and Aus version of himself are Uncommon monsters. 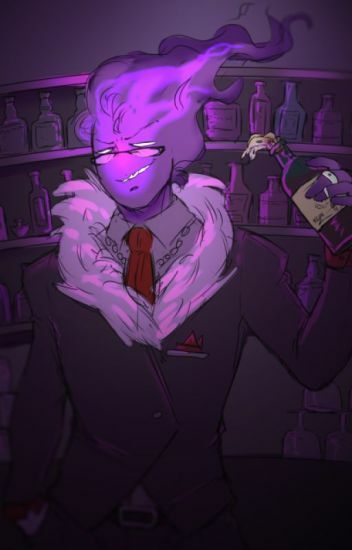 There are many bars but the most renowned is "Grillby's" on the Tale District. Hello! I have a question about posting formats and threads. I've never rp'd in this kind of forum before, so I'm not sure how this works. In journal-type rp's (like Livejournal, Dreamwidth), the comment threads form a nested chain so that it's easy to follow the scene for one pair of players. Here's a sample of how it works: bakerstreet.dreamwidth.org/4477624.html?thread=2004286392#cmt2004286392. The OP makes a post and each different who responds gets their own chain. If you want only one character to answer your topic, you can add the [Private *player name*] in the title. If not, anyone can answer. Everything can happen. That's okay! You've mostly answered my question. And we can only have three open posts at a time, correct? And then we have to finish a scene before we can make more? It may seem restrictive but it's virtually impossible to make a subsection to a topic. Subject: Re: How this kind of forum Works?